After initially being down to the Friars, Eli Cain hit a 3 pointer to put DePaul up 13-12. From that point forward, the Blue Demons never looked back. The Demons went on a 25-7 run to go from 2 down to 16 up over a 8:09 stretch. The Friars got a couple of baskets to close it to 12 with 8 seconds to go in the half. Eli Cain then calmly sunk a buzzer-beating 3 pointer to close the half and put DePaul up 15 at the break. First, first thoughts, I went to the game, and it was an interesting crowd. Super loud Friars fans, and a bunch of semi-engaged Demon fans. 2nd thought, now that I have had a chance to watch the replay, FX1’s ‘All Access’ is hypnotic. You know how you watch a good fight on HBO, and the best part is the corner men conversations? We DePaul fans know our weaknesses (ball handling and shooting). Our opponents should know our weakness. 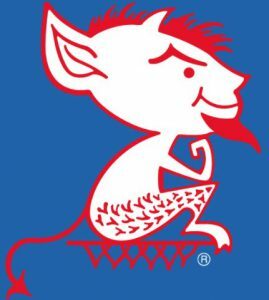 Somehow, someway, St. John’s decided to not pressure the Demon ball handlers, the Demons made shots, and DePaul came away with the victory.